For years I had this image stuck in my head: a child standing by the sewage pipes, looking up at the abandoned chocolate factory on the hill and wondering how to get in. I think it was wanting so urgently to know the story behind it that led to my writing Candy. But it’s very much Nelle Faulkner’s book, not mine. Nelle, the hero of the book, is named after (Nelle) Harper Lee. Lee not only wrote the great To Kill A Mockingbird, of course, but she was herself a detective of sorts, travelling with Truman Capote to investigate a notorious crime in the 1960s. I wanted some of that curiosity and integrity for Nelle. And I wanted to write a book that was a lot of fun and a parody of the hardboiled detective novels I love. At first, Nelle is reluctant to get involved, But in her classic manner, she notes: “I was out of pocket money again, I was behind on my luck, my hat was older than I was and I needed a job even worse than I needed a caramel fudge.” So, she takes the case. I had a ridiculous amount of fun writing Candy. I’ve scattered hidden references everywhere: at one point Nelle visits the Used Goods store and finds on the shelf “a Brasher Doubloon (whatever that was)” and the statue of a black falcon; when we meet rival chocolate manufacturers, Nelle reflects on “The five families”; and when she has an inevitable encounter with a gang of bullies outside the library, she knows that although it may have started out as a game, “growing up was serious business – and so was candy.” Nelle is determined to do the right thing. But the right thing is never the easiest, as we all discover. In the world of Candy, sweets have been banned under Prohibition…But really, what’s the harm in a little illicit chocolate? And so, here and there in this story, the reader encounters the sort of questions that would make any of us struggle, whether a child or a grownup. After all, isn’t that a part of growing up? ‘Stop it!’ Nelle yells at some point. ‘Stop acting like children!’ For her pains, of course, she gets a custard pie in the face. A pie in the face is never not funny. And it seems to me that we are all, ultimately, just children in grownups’ clothes. To paraphrase Raymond Chandler, down these mean streets a girl must go who is not herself mean, who is neither tarnished nor afraid. She is the hero, she is everything… And if there were enough girls like Nelle, I think the world would be a very safe place to live in, and yet not too dull to be worth living in. Q: You’re known as an adult writer – why did you decide to write a children’s book? A: It was just the book that spoke to me most at that particular time. To me, Candy is a book anyone could read, I like to think it’s for children aged 9 to 90! My favourite children’s books have a resonance that means you can pick them up at any time in your life, and that’s what I was at least aiming for. I actually see it as very much a part of everything else I’ve written. 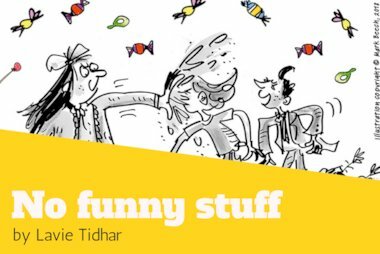 It’s a very me book – the parody of the detective story, the fantastical background, the ridiculous number of hidden jokes… and all this tries to engage with some big questions, which I think children’s books do brilliantly. It tries to engage with the question of right and wrong; what does it mean to do the right thing? I hope Candy does do that, if in a fun way. Q: Is there a difference between writing for children and writing for adults? A: I don’t think so. There was definitely a stage in the editing process that took that into account. But mostly it was technical stuff like speeding up the action at the end – which is good advice for any book! – and making the whole reading experience more seamless. But I very much approached it as I would any novel. Q: Where did the inspiration for Candy come from and why will kids enjoy it? A: I had this image in my head for years – a kid standing by the sewage pipes looking up at the abandoned chocolate factory on the hill and wondering how to get in – but I was never sure what to do with it. So I was very much going for, you know, have as much fun as possible, and I hope that comes through in the book. I was trying to write a book that I would have liked at that age. Q: What do you think makes a ‘good’ children’s book? A: I think it just has to be a good book, period. To me, a good book is something anyone can read at any age. I was very much inspired by the books I loved – and still love now – as a big kid. Q: In a world full of mobile phones and gaming,‎ why is reading still important? A: I love games – and mobile phones! – but the experience is very different. Reading a book is like full immersion in a virtual reality field. A great book changes your life. It takes you into another world with people you love. There’s just no other way to do that. And it can inspire you! In my case, reading all those adventure books growing up made me want to travel and have adventures of my own, which is probably how I ended up living on a desert island for a year… But that’s a story for another time! Q: If you were a teacher for a day how would you inspire kids to read more? A: What inspired me as a kid was reading about the lives of some of my favourite writers and just how fascinating some of them were. Whether it’s Conan Doyle’s obsession with ghosts or Michael Ende fighting in the Resistance as a kid(! ), or if you think of Laura Wilder’s childhood that inspired Little House on the Prairie – you can’t make this stuff up! Roald Dahl was a fighter pilot! I guess I had the unreasonable expectation as a kid that being an author was the most exciting job on the planet. Q: What was your favourite children’s book growing up? A: I read all the books in the children’s library twice by the time I was old enough to sneak into the adult library, so it’s hard to pick just one! Saying that, I’m still discovering new Dr Seuss books today and loving them, and he’s had a huge influence on a recent (adult) novel I finished. I am currently in love with his Oh! The Places You’ll Go!, which is funny and profound and heart-breaking all at once. Q: Which other children’s authors do you admire? A: I was lucky enough to grow up reading a lot of books in translation, so I’m a huge fan of, for example, Michael Ende, who is mostly known in English for The Neverending Story, but his Momo in particular is, I think, a masterpiece. I went to visit his hometown in Germany recently, where there’s a beautiful little public park with characters and places from his books. It was amazing to stand in the amphitheatre from Momo, or see Cassiopeia the giant turtle… I adore the Moomin books by Tove Jansson, of course, and I loved Astrid Lingdren’s Master Detective Blomkvist novels – you can probably see their influence on Candy! Right now I’m mostly reading picture books – I love Oliver Jeffers’ stuff, and I loved the Jon Klassen hat books – We Found A Hat just blew me away. And of course Julia Donaldson. 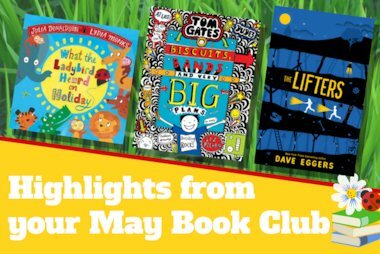 Q: What are the 5 books you’d recommend for children? A: Gosh, I don’t know! I remember when I was a kid I’d read anything, whether it was appropriate or not. But I don’t think you can go too wrong with some classic fantasy – Tove Jansson’s Moomin books, Urusla Le Guin’s Earthsea, Lloyd Alexander’s Prydain books, anything by Roald Dahl, obviously (I have a soft spot for Danny, The Champion of the World, of all things). And, you know, I think there’s absolutely no age where you can’t read Maurice Sendak’s Where The Wild Things Are. It’s just the most perfect book. A: Sadly, I’d probably be doing something very boring to do with computers. 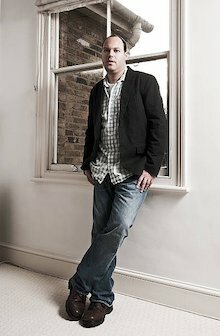 Lavie Tidhar is best-known for writing adult Sci-Fi and Fantasy novels such as Central Station, Unholy Land and A Man Lies Dreaming. 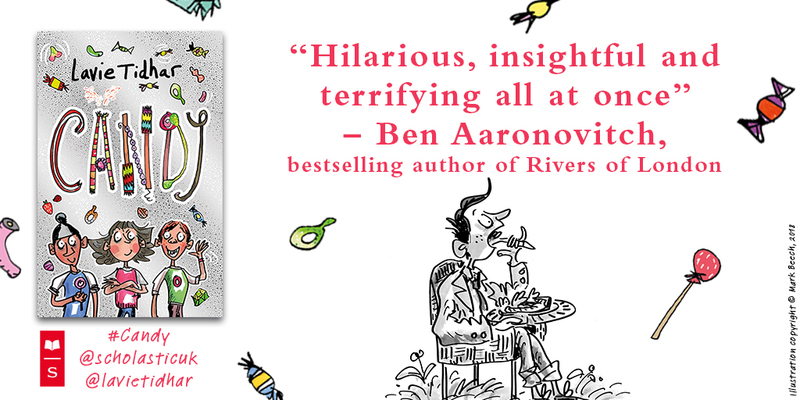 But recently, he has turned his hand to writing a children’s madcap crime caper…. 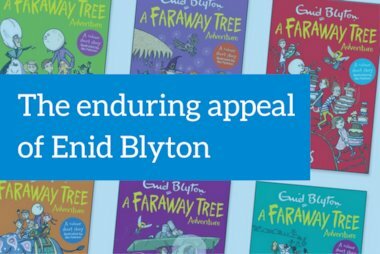 It might be 120 years since Enid Blyton was born, but her appeal has not diminished. We take a look at what makes this author so appealing to readers, and what inspired her to write.